Shiraz & Co offers a diverse and extensive wine portfolio from the New World: From Shiraz or Pinotage from South Africa over Malbec from Argentina to Cabernet Sauvignon from Australia or Sauvignon Blanc from New Zealand – here, every wine lover finds his or her favorite wine from overseas. However, we do not only offer the classics from overseas but we are also permanently on the lookout for new wine discoveries. You just order these fantastic wines conveniently online and enjoy the wide world of wine stress-free at home! 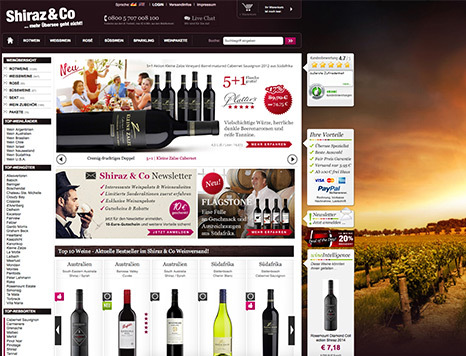 Visit the biggest overseas wine portfolio at www.shiraz-und-co.de!